The Senate Judiciary Committee voted Thursday to advance President Donald Trump’s nomination of William Barr to U.S. attorney general to the full Senate for consideration as early as next week. The vote was along party lines, with all 12 Republican committee members voting to advance Barr’s nomination and all 10 Democrats voting against the nomination. The Washington Post, CNN and NPR have coverage. Senators debated Barr’s candidacy for several hours, focusing on his potential role in supervising special counsel Robert Mueller in the Russia investigation. Barr has said he would allow Mueller to complete the investigation but has not confirmed that he would release the report of the investigation in its entirety. Senate Judiciary Chairman Lindsey Graham said, in supporting Barr’s nomination, “I think we need a steady hand at the Department of Justice,” according to CNN. 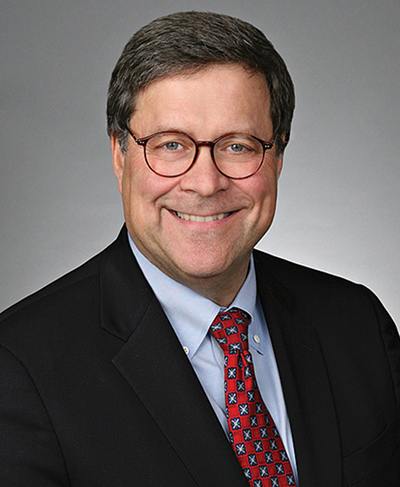 Barr previously was in several high-level DOJ positions, including as U.S. attorney general in the George H.W. Bush administration. He was confirmed to the position without opposition in 1991.